Challenging homophobia at Faith Primary School. Here at Faith we are passionate about equality for all. 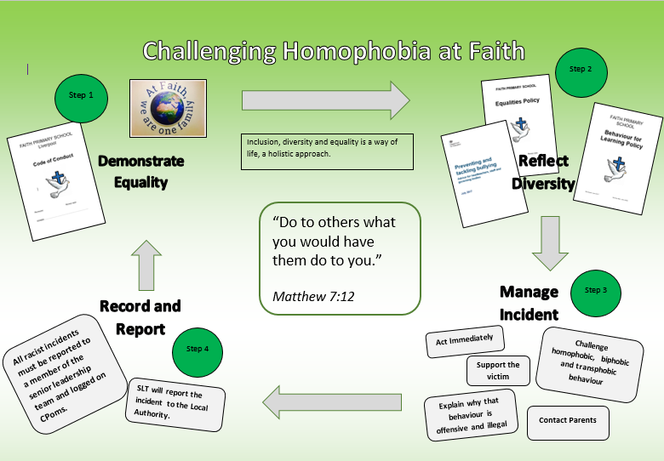 The information below outlines our approach to challenging homophobia.